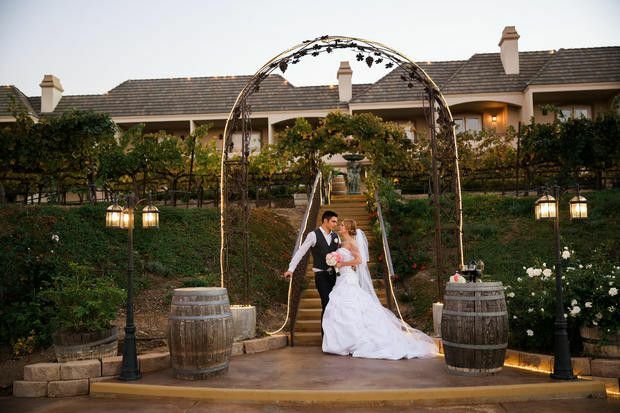 Inn at Churon Winery is an elegant wedding event venue located in Temecula, California. Perched atop 11 acres of estate vineyards, this beautiful chateau features the delicious, award-winning wines of Churon that you and your guests will love. You'll also be able to enjoy the fantastic views of mountains in the distance, perfect for wedding photography opportunities. Only one wedding ceremony/reception per day is held at our estate to ensure that your wedding receives all the attention it deserves. 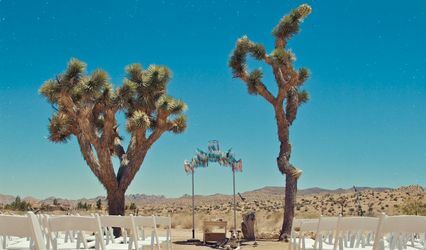 We specialize in intimate outdoor and indoor weddings. 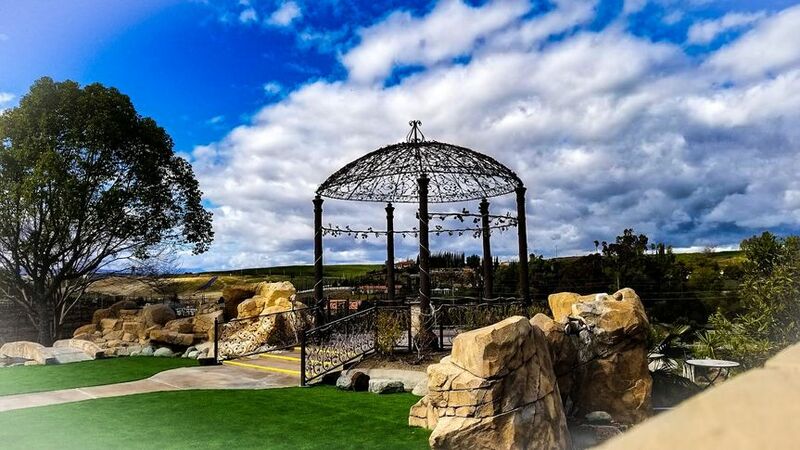 At the Inn at Churon Winery your ceremony will be outdoors in the elevated Grand Gazebo, surrounded by the cool rush of running waterfalls, and panoramic views of Temecula Valley. Afterwards, you and your guests will be escorted to an hour cocktail reception, followed by a reception with superb dinner and other amenities. You’ll be able to host up to 150 of your guests. This distinctive wedding and reception will be cherished and remembered for a lifetime. Came in not knowing that Karrie was leaving and supposed to pick her kids up from school. We dropped in without an appointment. She was very sweet and still showed us around to see the venue. Never made us feel we were altering her day. We offered to come back another time but she said she didn’t mind. I am getting married next year & my fiance & I chose Churon! We are so excited. Lyndsay in the events department is AMAZING! She is very responsive & she genuinely cares about giving couples the wedding they've always dreamed of. The venue is absolutely beautiful no matter what time of the year & the all inclusive package is more than worth it. I cannot wait to say I DO at Churon next year. 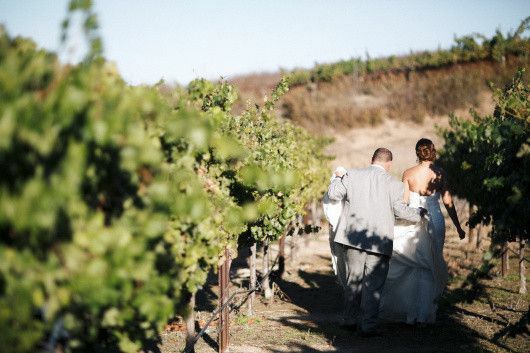 If you haven't picked a venue yet & want a winery wedding I highly recommend Churon. 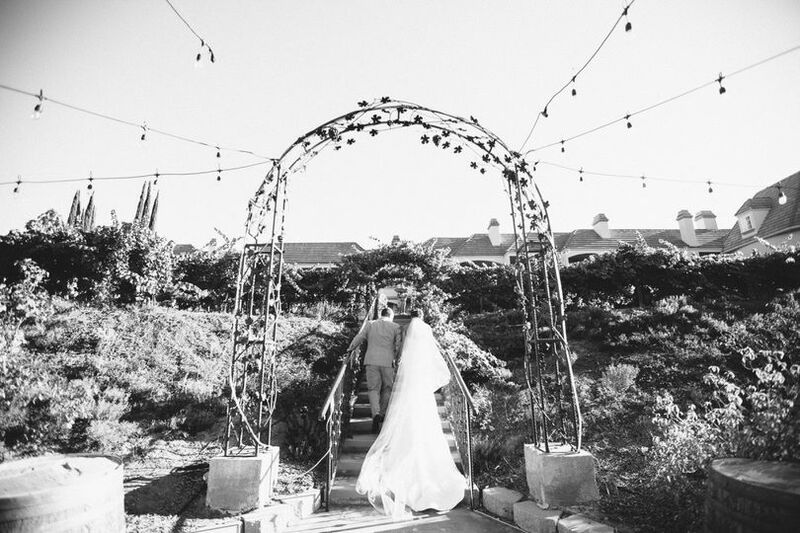 We had our wedding at Churon Winery in September with Lyndsay from Abby Lee Events as our coordinator. 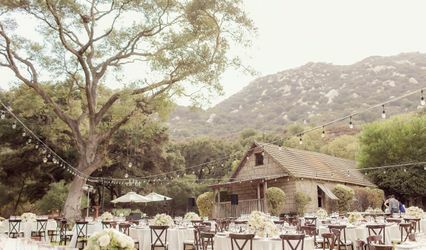 To start, Churon is such an amazing venue for a wedding! 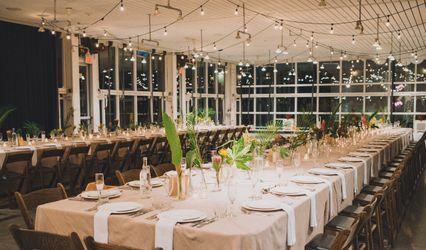 We had all of the 24 rooms of the inn booked with our wedding guests so it was so much more of a private event than any of the other wineries in the area could offer. 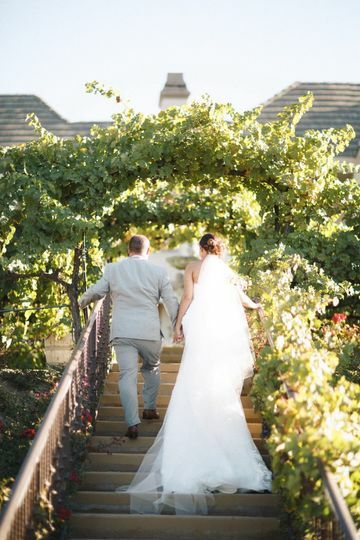 Our guests loved having the ceremony and reception outdoors with the awesome views of wine country. 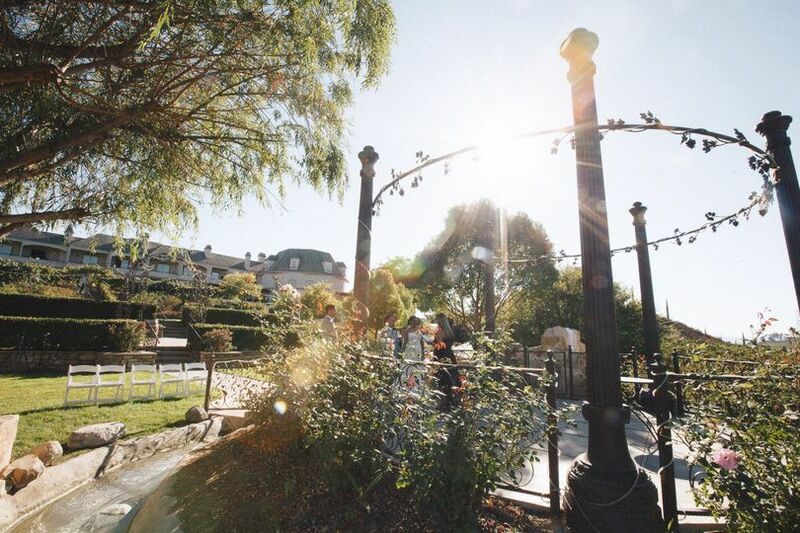 The area where the reception looks great during the day and was even more romantic and fun when it was lit up at night. And not only did our guests appreciate being able to stay at the same place that the wedding was but we all woke up in the morning to hot air balloons floating by outside all our balconies. Having that followed up with a really great brunch at the inn made for a perfect morning after to bookend the events of the weekend. The staff at the inn are so friendly and helpful and made sure everything was taken care of. Finally, we can’t leave out how awesome Lyndsay, the coordinator, and her team were! 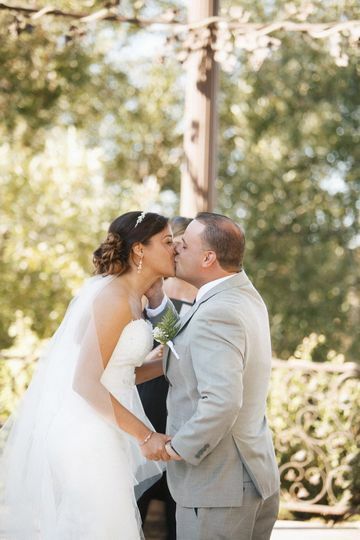 They really went above and beyond to make sure that every detail for our wedding was taken care of that day and we were able to just kick back and enjoy the day. The only thing that went wrong was our photo booth company had some technical issues and the coordinators were amazing at suggesting ways to get around the issues to keep the photo booth running and even went so far to offer to have one of them stand there the whole night and take the pictures individually! 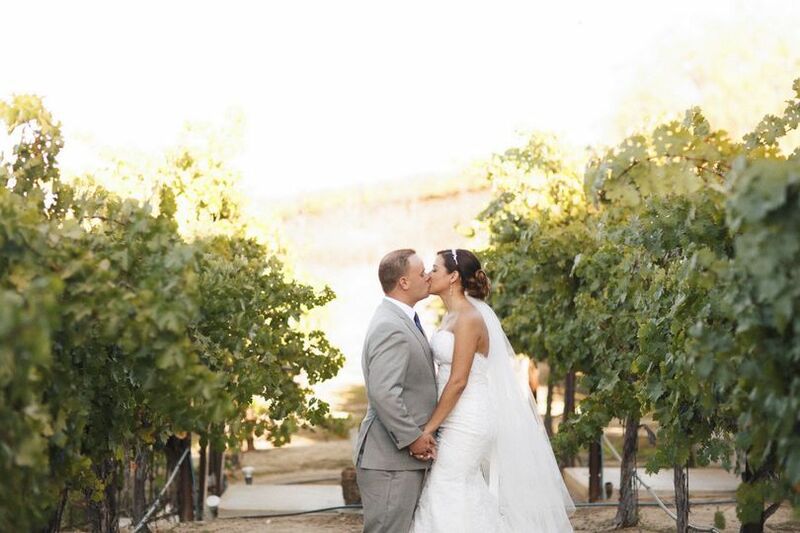 We’re so completely happy that we chose to have our wedding at Churon Winery and so grateful to Lyndsay and her team for helping ensure we had the most amazing wedding possible!